16-port I/O expander for Raspberry Pi. MCP23017 by Microchip is mounted on the expander. 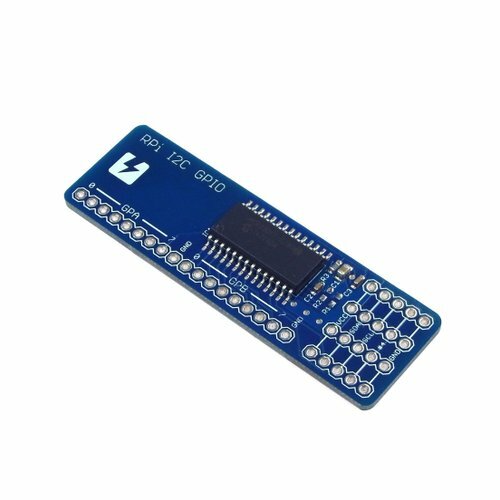 It has I2C interface and works with a wide range of voltage level, including 3.3V and 5.5V. Please solder the header as appropriate for the use.